Lips are important part of our Face and Body. Intended to seal in moisture and keep your lips from getting dry and cracked, lip balm usage has increased steadily over the years. This year, the global market for lip products is set to reach an all-time high, with lip balm being one of the most popular lip products, and its sales significantly contributing to the value of the industry. However, lip balm addiction is being seen more and more, resulting to heated debates on the topic in both dermatology and psychology. Peppermint Essential oil is widely used in many cosmetic and skin care products. It is mostly added to give a flavor, and to stimulate the skin . Carrier oil is required because peppermint oil must be diluted before applying it to the skin . 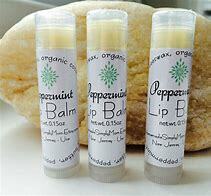 To make this balm, get 8 drops of peppermint oil, 1 tsp of beeswax, 2 tsp of carrier oil, and shavings of lipstick (optional, to give color). When done, you are ready with an amazing lip moisturizer. Alternatively, you can also add 1 tbsp of Shea butter to the balm. 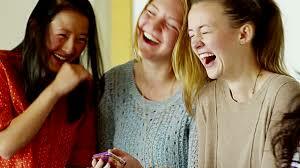 Put the two tablespoons carrier oil and one tablespoon beeswax in a glass jar and close the lid. Heat the jar in a pot with water on medium-high heat until wax is melted. Remove jar from pot and stir mixture. Add peppermint oil with a dropper (not too much or it’ll burn your lips—we recommend starting with eight drops and adding more if necessary). If you’d like your balm to be tinted, stir in your lipstick shavings until your desired color is achieved. Then immediately pour the mixture into your containers. Let stand for two hours until hard. This mint lip balm will not only make lips soft and smooth but also give a flavor and a cooling sensation, as well. 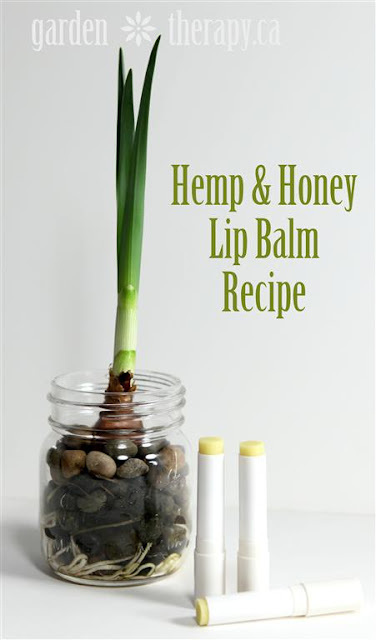 It has been used commercially in many lip balms to protect chapped or cracked lips. You can use mint in your very own homemade lip balm. You will only need 2 tbsp of beeswax pellet, a dash of mint flavor, 4 tbsp sunflower oil, and some teal food paste to give it a beautiful color. Heat in the microwave on low to medium power until the beeswax pellets have melted. Remove jug from microwave and stir with a metal spoon. Using a pipette, add a few drops of mint oil. Add a tiny amount of food colouring to jug of liquid. Stir mixture with metal spoon and continue adding colouring till you achieve desired shade and colour is even. Using a clean pipette, transfer lip balm to pots. In a small glass pot, melt half a teaspoon of beeswax pellets with a teaspoon of oil in the microwave until beeswax pellets have melted. Add a drop of cool mint oil and stir with a metal spoon. Then using a clean pipette, fill leaf mould with lip balm. As soon as the lip balm turns white, use a sharp knife to remove excess from back. Wait a minute then turn out leaf on to top of aqua cool mint lip balm. Repeat until all cool mint lip balms have a white leaf atop. Leave to set for one hour. This week I tried another recipe from the current Book Club selection, A Green Guide to Natural Beauty, Hemp & Honey Lip Balm. For ages now I’ve been making manuka honey lip balm because of the extraordinary healing properties of the magical golden goop. Hailing from New Zealand, manuka honey comes from bees that pollinate the Leptospermum scoparium, a shrub or small tree that can grow up to 4m tall with profuse star-shaped flowers. Manuka honey is claimed to have anti-bacterial, anti-fungal, and anti-microbial properties. Applied topically, it is said to promote healing and reduce inflammation, with some sources saying it even prevents or heals the cold sore virus. While I’m not able to quantify these claims, I can say that it makes a darn good lip balm and that’s good enough for me. Raw manuka honey is rated using “Unique Manuka Factor” (UMF) that rates the antibacterial factor. I generally use UMF 16+ as that is the highest that is sold in these parts. Now the book clearly states that this recipe makes a softer lip balm, suitable little pots not tubes, but since I only had tubes I added more beeswax and some carnauba wax. It is still a bit soft but holds up fine in the tubes if you don’t smash it on your lips like my dear husband did this morning. The worst that’ll happen if you are a bit rough is you’ll get a bit too much applied but it will still hold its shape. 1. 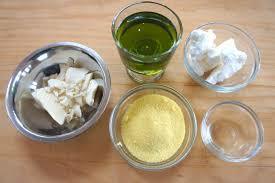 Melt the beeswax, carnauba wax, cocoa butter & shea butter in the double boiler along with the almond oil. 2. Add hemp oil and honey and stir until liquid. The recipe notes that as honey is not soluble with oil, it won’t totally dissolve with heating and needs to be mixed with the milk frother. 3. Remove from heat, add essential oils, and blend with the frother while the mixture cools but still pourable. 4. Pour into tubes and leave untouched to set. First, the hemp oil aroma is, well, hempy. Yick. So that’s why I added the essential oils. I wish the honey had a stronger aroma but…the second issue was that they honey really doesn’t combine that well. I’m pretty used to this from making lots of honey lip balm. In my experience the honey sinks to the bottom of your jug, even with mixing constantly, and by the time you fill the last tube it’s just a sticky honey mess (shown below). There is definitely some honey in the rest of the tubes though, you can tell just by licking your lips. There are also a few other interesting looking recipes in the book: a bee-free version, cocoa butter lip balm sticks, and chocolate orange lip pots (um, yummy). Please drop me a note if you try any of these, I’d love to hear all about it. Pl comment or post email.